Dogs fall into my life like accidental blessings. These are their stories. The A to Z of #Dog Rescuing. 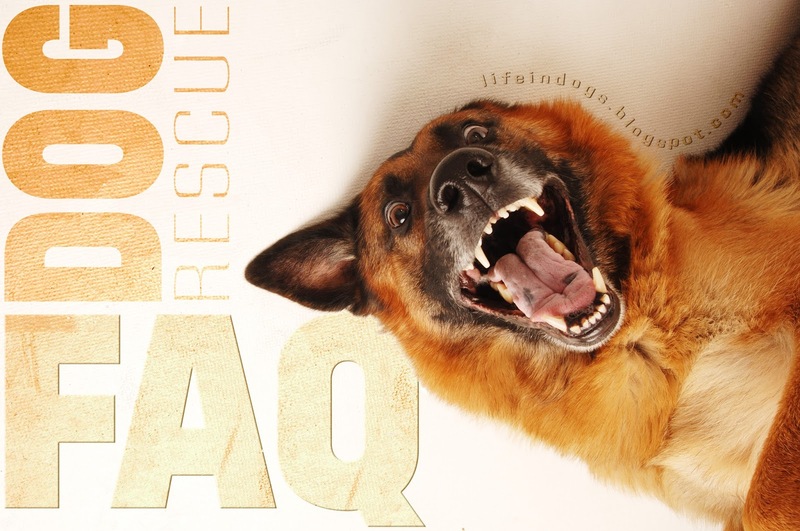 So what, exactly, is dog rescue? The first of a series of actions through which a dog living in the streets (or in a bad home situation) regains quality of life. You get a call. A dog's been sighted, they need extra hands. You drop what you're doing and jump into your car. (If you're not a total amateur, you'll have heavy-duty footwear in the car already... Something waterproof, something that protects against thorns or scrapes or bites.) You'll spend the next hour (or hours) in the sun, on hands and knees, running through brush, crossing busy intersections, in the effort to Catch This Dog. Eventually, once everyone is exhausted and the dog is in a transport crate, you'll drive to the vet, get a pile of meds, then drive to the foster. Once the dog is settled there, you're done. You can go back to your day now. I'm currently fostering a dog for a rescue organization. That makes me a rescuer, right? It makes you a foster, which is beyond essential to rescuing. Put simply, there could be no rescuing without fosters; all these dogs we pick up off the street—in terrible shape, with diseases or wounds that will take time to treat and heal, and with broken souls—need a place to go, and a family to take care of them, to put them back together, mind and body, before they can go on to a forever home. But, unless you were involved in the actual street chase, diving under cars and all, you're not a rescuer. Fostering is separate from rescuing—and comes with its own challenges (and, as you've probably found out by now, its own joys). We adopted our dog from the shelter. Does that make us rescuers? I picked up a puppy wandering in a supermarket parking lot and brought him home. That makes me a rescuer, right? a) Are you sure it was a stray? Could it maybe have been just lost? b) Street-born puppies rarely wander off by themselves. If he really was a stray, chances are he had siblings somewhere close by. (And a mom.) You might have missed a good chance of getting a whole family off the street. c) Did you take him straight to the vet? Yes, before taking him home. A clean bill of health is essential to prevent the spread of infectious diseases or skin conditions. Plus, he'll need his first vaccinations. d) Are you prepared to keep him? Do you have the budget (for food, medical care, behavior training), the time, and the space? If not, do you have a network that you can connect with to find him a good foster or forever home? I want to help, but all that sounds too complicated. Isn't something better than nothing? If you're serious about wanting to help, get in touch with your local shelter and/or rescue organization and ask them who you can call when you spot a potential stray or lost dog. Ask them also about their volunteer programs. You can give a (much needed, and much welcomed) helping hand at your convenience, and at your time and budget capabilities. I'd love to get involved with rescuing, but I'm not allowed to keep pets where I live now. Many people confuse rescuing with fostering. Rescue is the act of catching a street dog and taking him to safety; fostering is providing that safety. Lines get blurred sometimes; rescuers end up fostering, fosters go out on rescue missions. But the fact remains: you can be a rescuer without fostering, and you can foster without rescuing. And you can help immensely without doing either. Check out the Other Options post for a list of cool ideas (there's tons you can do without even leaving your living room couch). And you can always contact your local shelter or rescue organization. They always need an extra pair of hands. Got dog rescue questions? Let me know, and I'll pull together all the resources I can to answer them :) Thanks for coming by! Very succinctly explained. Once again, admiration and respect for all rescuers and fosters, and bloggers who call attention to social issues. Thanks, Nilanjana :) Glad you liked the post. This is great information to clarify the differences. I would love to help but my biggest fear, well 2, is seeing the animal is such a bad way that I would want to adopt it and, if I foster, I would want token the animal. It takes a certain soul to be able to deal with the suffering these poor animals deal with. I watch animal rescue shows but it is different when you are actually there. It is such an important social issue Guilie and kudos to all who partake in this. Thank you also for clarifying important areas where there could be confusion. I love the list you put up for qualifications required! So happy you liked it, Susan :) Haha... yeah, the "qualifications" really apply not just to rescue but to living a good, worthwhile life, in a way. For me, dog rescue has become a sort of Zen, a path to understanding myself and life, and to living it well. Thanks so much for the visit! Very well explained! I considering fostering (as a short term doggy boarder for families escaping violence) but was worried I couldn't commit to the time element with work, so I work with exercising working dogs in their playtime for owners who can't due to their disabilities. Looking forward to your A to Z! No love like Dog Love--or Blog Friend Love! the Dog Book is here! Best Response *EVER* to Idiots Who Want Purebred Dogs! The Dog Book is a GO! The Lost & Found Hop! Wordless Wednesday: Clicker Expo 2016 Reno! All content, including images, owned by author unless specifically indicated otherwise. Theme images by ideabug. Powered by Blogger.